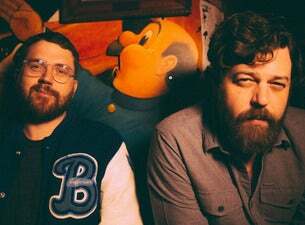 British folk rock band Bear's Den are an alternative indie duo – originally a trio – who have been making music together for over a decade. Composed of Andrew Davie and Kev Jones, the band released their first album, Islands, in 2014 with the single Above the Clouds of Pompeii being nominated for an Ivor Novello award in 2015. The recently revealed via clues on social media that their third album was going to be called So That You Might Hear Me, out 26 April 2019. They’ve also released two singles: Blankets of Sorry and Fuel On The Fire. They’re set to play a few shows in April 2019.